Thousands of those who are not familiar with the word "Baahubali", I must tell that is means the man with the power, you can also call man of steel. but he is not a superman. Baahubali is a man who is strong enough as strongness itself. Now you may imagine a man who beat every single person because of his strength but believe me this is not just means to be a Baahubali. To be a Baahubali a person need to have strong character, determination, commitment and everything that make him human and empower his life and character. Now you may ask why I am calling a blogger is a Baahubali. I have enough reasons to say that. Blogger is a man with determination, focus, commitment. An un-shattering love to his blog and commitment to serve other with the best make you a Baahubali blogger. 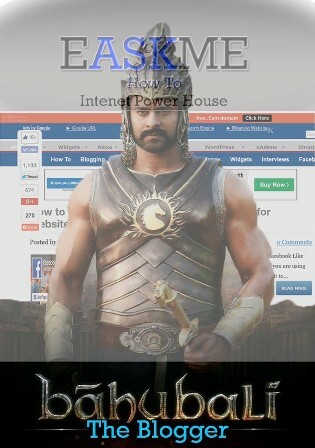 How to be a Baahubali blogger? 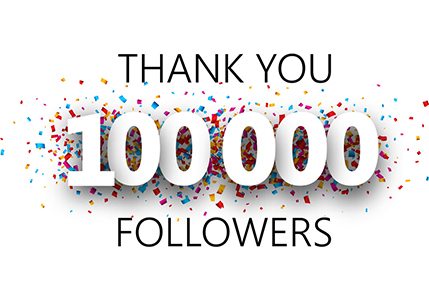 It do not take lot of efforts all it take is your interest and passion for blogging. You need to understand why you are blogging and how to deal with the challenges with ultimate focus and never lose hope even when you get hit with hard times. Devote your life to be a great blogger. learn and learn more, analyze everything and keep yourself improving. The more you love your blog the more you know what others are looking on your blog. Not only post like machine, but be social, answer every single comments and share your articles on social networks. Also comment on popular blogs and build strong relationship with your loyal readers and fellow bloggers. Use latest techniques and technology for blogging. Keep your posts updated and remove which do not have any importance now. Interlink your posts to keep traffic coming. learn SEO and use latest SEO techniques. Use social buttons on your blog to allow people to share the posts they like. Popularity is really necessary. You need to make your blog a brand. Offer latest updates and write about trending topics and evergreen content. Writing pillar articles will help you to get the job done. Create videos, tutorials, write for newspaper journals and these will help you to promote your content and yourself. The main benefit of becoming a baahubali blogger includes popularity, branding and brings lots of money. The more your blog get popular the more monetizing options you have and you can charge more for showing direct ads on your blogs. You will get interviewed by popular blogs, newspapers and tv channels. There are lot many things that make you a Baahubali blogger. Now the question is are you a Baahubali blogger? What things you are doing that makes you a Baahubali blogger? If you have any question or suggestion, feel free to write to me via comments.